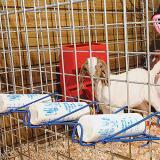 Fits onto PowerBilt® Panels (3" holes) or other Welded Wire Panels (4" holes) at any height desired. Recommended: 26 out of 28 said they would recommend this product to a friend. I suppose these would be fine if I had Premier panels in my barns, but I don't and I could not make them work with what I have. I find the regular old 2 qt. 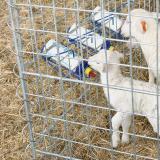 calf bottle holders work just fine with the Premier lamb bottles. I screwed on a 2x4 and set up five of them and the lambs love it. Wonderful fits on the wire panels. 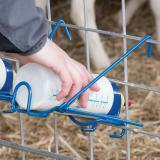 Easy to adjust to the lambs height and they stay put during feeding! These make life so much easier! You set it and forget it. It's nice when you have to feed more than 2 kids at a time. 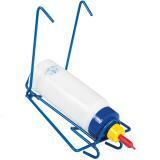 We just attach it to the cattle panel and call it done. Would most definitely purchase it again! 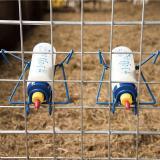 It's impossible to find sheep friendly items locally, everything is designed for cattle. After getting a third bottle baby on short notice, I didn't take the time to read all the reviews before I purchased these, so I didn't realize they won't fit any normal stock/thrifty/hog panel. They are designed for premier panels, which I don't have. I used zip ties, as an older review suggested and I'm hoping they will work. 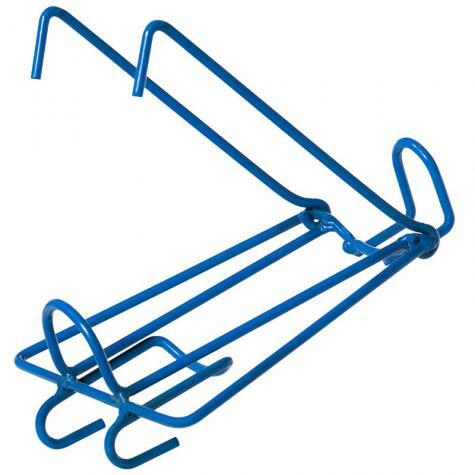 They are nice and sturdy, shouldn't bend or fall apart and I like that they are bright blue. 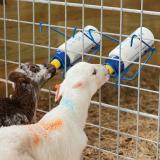 What a great way to feed multiple lambs with less time... These are a must have..